It's not easy to find cool birthday toasts but it's simple here. The toasts on this page are as cool as they come — and are free to use. Now that's cool! Before you search for a cool toast below, however, keep in mind that the best kind of toasts also include a short, heartwarming message. Remember, you don't have pick one that's too sentimental for your taste — it just needs to be heartfelt enough to make the birthday boy or girl feel as special as he or she is to you. The next time you become too serious about getting older, remember that life is much too short and way too important to take seriously. Happy birthday! 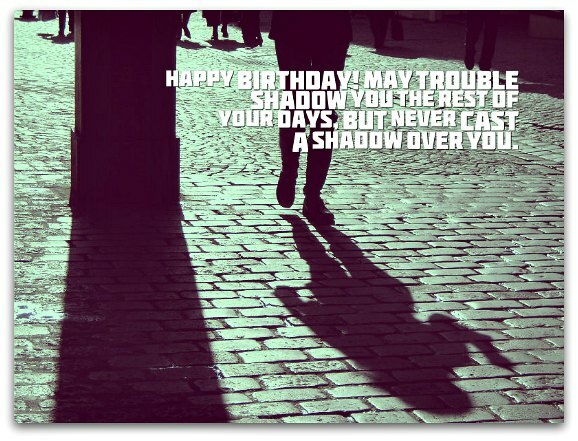 May trouble shadow you the rest of your days, but never cast a shadow over you. Have a wonderful birthday! Here's to your destiny. May yours allow you to live a wonderful life of your own making. Happy birthday! You're an angel. Even though you don't wear any wings, you wear a heart so strong on your sleeve it could melt the hearts of everybody you know. And you wear a smile that just makes the world want to smile back at you. You make angels of us all. We love you because heaven on earth is a choice you always make every day. Here's to the precious angel in our midst. Happy birthday! Here's a toast to your coffin. May it be made from the finest of a 100-year-old oak tree. And may we plant this very tree together...tomorrow. Happy birthday! To your long life! You have the power to make the weak strong, make the blind see and make the sad happy — and you use it so willingly without hesitation. May you be a beacon of strength, vision and joy for many birthdays to come. Here's to you. Here's to your birthday, a day as special as you. 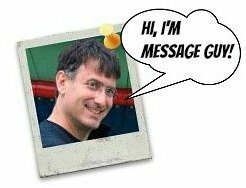 Keep searching for the coolest message! Today is the beginning of another year-long journey around the sun for you. Enjoy every day of the trip, especially the first one...your birthday! Here’s to you and yours and mine and ours. And if mine and ours ever come across you and yours, I hope you and yours will do as much for mine and ours, as mine and ours have done for you and yours! All this to say, happy birthday! May your life, from immaturity to experience, youth to age, and expectation to accomplishment, be full of extremes. Happy birthday! May you live long and extremely. Here's a tip from an old and wise sage: you do honor to your opportunity and reflect credit to your years. Happy birthday. A toast to your health. You make age jealous, time furious — and all of us envious. Live long and beautiful. Happy birthday! The mission of life: live, love, learn and leave a legacy. May you leave a life filled with love that we can all learn from. Happy birthday! You are a true inspiration! May you live to be a hundred—and take up skydiving. Happy birthday! Here's to your health. May the days of your birth never be measured by the span of your girth! Happy birthday! May the clouds in your life be only a backdrop for a lovely sunset. Here’s to your birthday! May your hours of reminiscence be filled with moments of peace, days of good cheer, weeks of bliss and years of joyous memories. Happy birthday! To your health! If all birthdays treated us half as kindly as yours, we would all celebrate them, too. May you live long in such youthful happiness. Happy birthday! Let birthdays come and let birthdays go — but may your joy and wonder continue on forever. Happy birthday!